A serving house member of Benue State Assembly, Kester Kyenger, two former council chairmen and aides to former governor, Gabriel Suswam have been ordered remanded in Makurdi prison custody. Others remanded are: Mr David Sev-Av and Alex Ogaba, former council chairmen in the state, while Mr Terfa Bosua and Andrew Ayande were aides to erstwhile governor of the state, Dr Gabriel Suswam. Justice Joseph Aneke of Federal High Court in Makurdi on Friday, ordered the five-person remanded in prison till October, 17, 2017, pending when the court would determine the bail application. The remanded persons were part of the 52 indicted by the Justice Elizabeth Kpojime Commission of Inquiry set up by present administration to probe the activities of eight years tenure of the past administration. The accused persons are standing trial on corruption charges bordering on money laundering. Justice Joseph Aneke, who gave the order while ruling on a bail application brought before him by counsel to the accused, Mr Andrew Wombo, prayed the court to grant his clients bail using its discretion. Justice Aneke faulted the bail application and asked the defense counsel to go back and look at it carefully in order not to jeopardise the integrity of the court. Earlier, prosecution counsel, Kehinde Fagbemi, told the court that the accused persons were standing trial on corruption charges bordering on money laundering. When the defendants pleaded not guilty to all the charges brought against them, the prosecution counsel applied for a date to open her case against the defendants, even as she prayed the court to remand them in prison custody pending a date to be fixed for continuation of the matter. 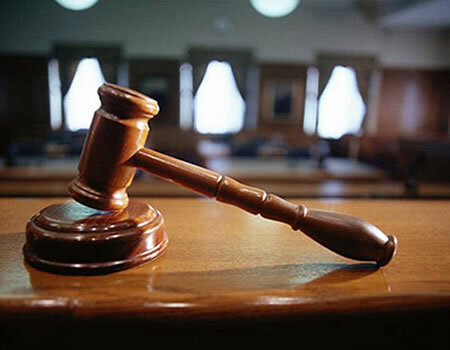 While arguing on a bail application brought by the defense counsel, the prosecution counsel asked the court to use its discretion in considering the application. Counsel to the defendants, Andrew Wombo, who did not object to the application by prosecution counsel seeking for a date to open her case against the defendants, however, objected to the prayer to remand them in prison custody, noting that they have been on administrative bail since 2016 but had not jumped bail conditions. He said the accused persons had sworn through various affidavits that they would not breach the bail conditions.